Click on this image to read. In hopes of landing a permanent position at a local technology manufacturing company, one of William Takdir Jaya’s many responsibilities is to commute to work at 6 a.m. The 23-year-old, a fresh graduate from the University of Washington’s Foster Business School, said he arrives early because he needs to go “above and beyond” to impress an employer who holds the golden ticket to his future: an H-1B visa. With graduation just around the corner, international residents on student visas are currently deciding whether to apply for Optional Practical Training provided by the United States Citizenship and Immigration Services (USCIS). This program allows international students to extend their stay in the United States for three months after graduation as they look for employment. 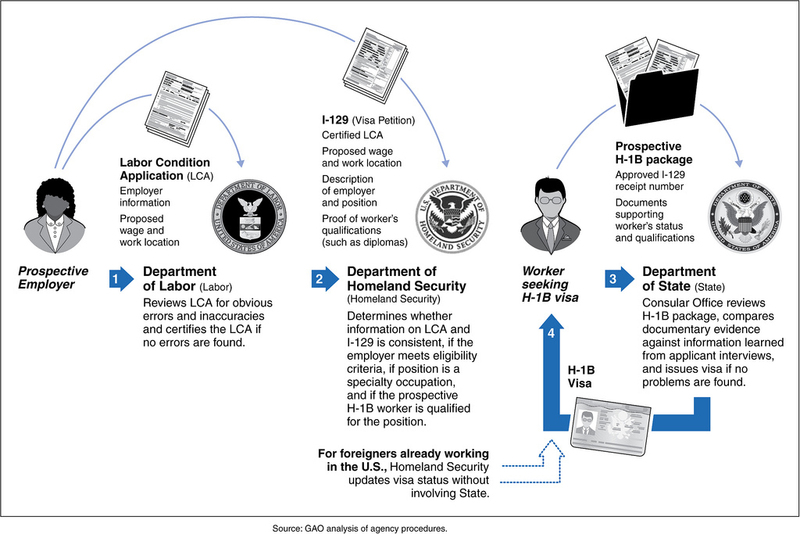 Students who are hired are allowed to stay and work while waiting for extensions on their visas. In other words, they want a permanent job. But there is a catch. There is a cap of 65,000 applicants who can apply, and some companies are not willing to renew international students’ visas because it is costly. Corporations pay an initial fee of $2,000 to sponsor one student. With rising unemployment rates, it is difficult for locals to find jobs, let alone international students. According to an article written on Computerworld, the OPT program initially allowed only students in the STEM fields — science, technology, engineering, and math — to apply. In 2012, President Barack Obama expanded the number of eligible fields of study by about 90, giving more chances for foreign students to stay in the United States. The program was criticized for taking jobs from American citizens. Jaya disagreed. When looking for a company to work for, Jaya suggests applying at international companies, which have good health plans and incentives, and are more likely to renew visas. UW’s Assistant Director and International Student adviser Machelle Allman said that it is hard for a foreign student to succeed in the United States, primarily because the government expects students to head back home after completing their education. Celine Djohan can be reached at info@nwasianweekly.com.